Lynn Jenner is a writer of essays, poetry, non-fiction and hybrid texts. She started writing only twelve years ago, at the age of forty-nine. Her debut collection Dear Sweet Harry (Auckland UP, 2010) won the Best First Book Award for Poetry in the New Zealand Post Book Awards and the NZSA Jessie Mackay Award for Best First Book of Poetry. Hugh Roberts (NZ Listener) described Dear Sweet Harry as ‘simply exhilarating’ in the way it ‘weaves together scraps of found material, family history, speculation and archival research…into a kind of fun-house mirror-world evocation of the early 20th century’. Lynn’s four-part hybrid of memoir, essays, prose poems and poetry, Lost and Gone Away (Auckland UP, 2015), was a Metro Best Books (2015) selection and finalist in the Ockham New Zealand Book Awards (2016). Regarding Lost and Gone Away, C K Stead has described Lynn as a writer ‘whose pithy narratives demonstrate how prose can be ‘poetry’ simply by economy and sly wit’. 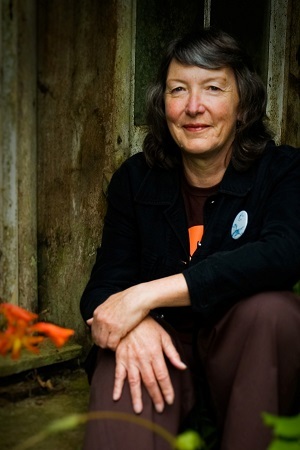 After completing the Whitireia Creative Writing Programme (2004), Lynn completed her MA at Victoria University, for which she won the Adam Prize. Lynn completed a PhD in 2013. Her work has since been published in numerous literary and technical journals, nationally and internationally, including Carcanet’s Oxford Poets 2013: An Anthology. Once an educational psychologist and counsellor, Lynn now teaches creative writing and is employed in research. She is currently working on a collection of poems, stories and essays about the construction of the McKays to PekaPeka Expressway, planned publication in 2017. Lynn is planning to publish a collection of essays in 2018 about her upcoming trip to Israel.